The turbinado sugar really adds that little extra touch and texture! Over all they’re simple and fun to make…thanks Ronit! These are so nostalgic, I can’t wait to make them. I will opt for the turbinado sugar sprinkling. Thanks for sharing this recipe Marisa! I find the turbinado sugar really dresses them up and adds a little extra sweetness! And they make delicious dunkers! Enjoy Nadia? I love lemon flavoured treats, and these are my initial too! So I see they are!! A jar full of these would make a lovely gift to those who’s name starts with S? The cookies look so pretty and sensational. With a cup of coffee they would make my day. I like how you mixed the glazed ones with the plain ones sprinkled with turbinado sugar – that gives a professional touch! Thanks so much! I thought them appropriate for the Easter holiday, especially after an indulgent meal their perfect! 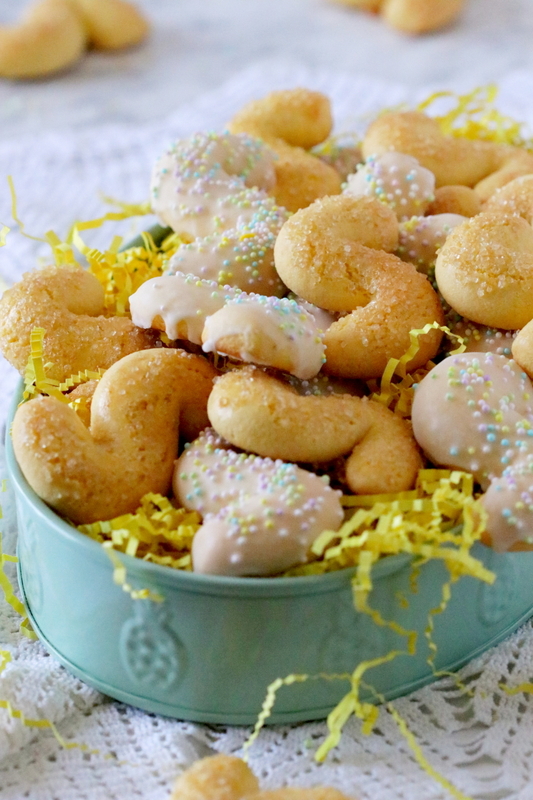 These cookies are just perfect for Easter! It’s seems we have much in common from our childhoods! 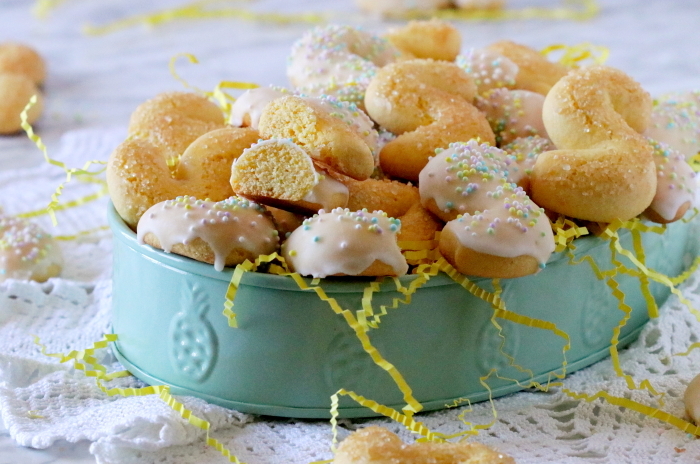 They make a great dessert alternative to the more rich ricotta treats we serve during Easter! Happy Easter to you and yours Maria! 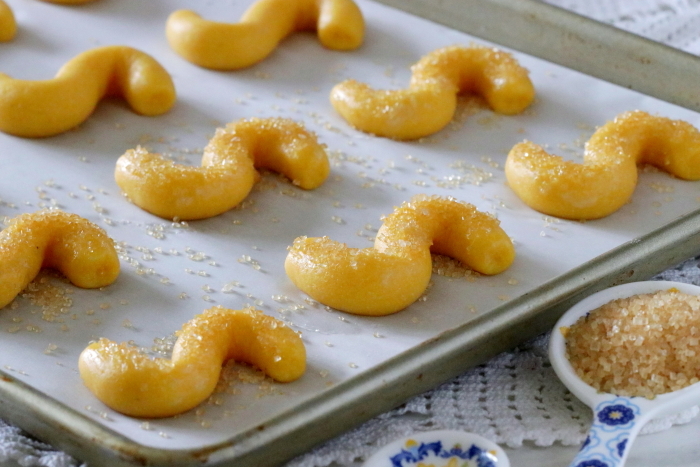 They’re so simple to make and fun to eat…enjoy? These are exactly the kind of cookie I love- sweet, but not too sweet. The lemon glaze puts them over the top. Buona Pasqua. 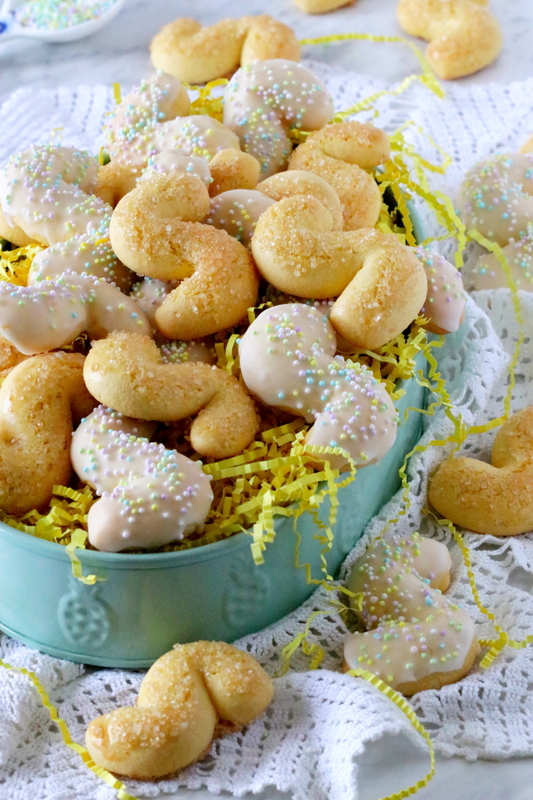 They’re really delicious all on their own but the lemon glaze really dresses them up for Easter! Thanks so much Linda and Buona Pasqua to you!? Thank you, they really are? Gorgeous little treats Marisa! Happy Easter to you and your family! Thanks so much Kathryn and same to you! It’s amazing what a shape can do! These are so unbelievably adorable and I’m sure they taste great too! We’ve been nibbling on these cookies for the last two weeks while testing and sampling? 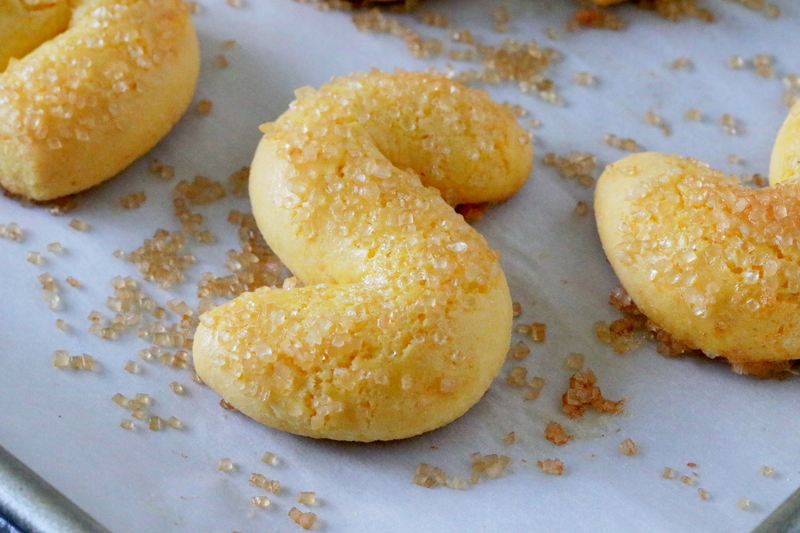 and they’re simple yummy dunked in coffee or tea! The cookie jar doesn’t remain full for long? Thanks Annika! 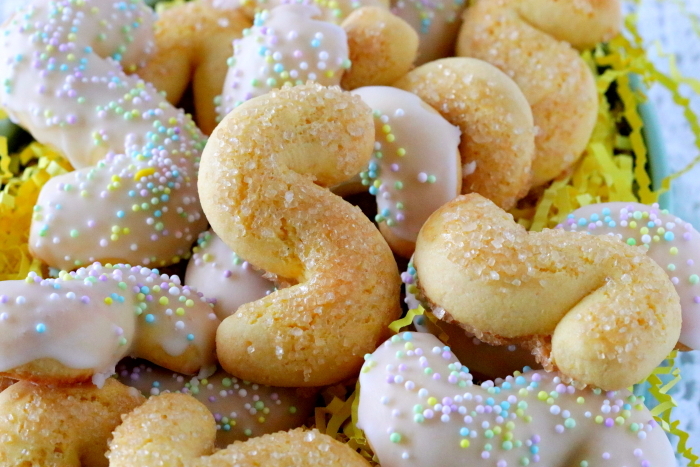 These are absolutely darling, reminiscent of a cookie I had in the Veneto. They would be perfect for breakfast at any time of the year, making a pleasant alternative to my traditional Anginttes. Indeed, we’ve been enjoying them for breakfast with our morning coffee AND afternoon tea! 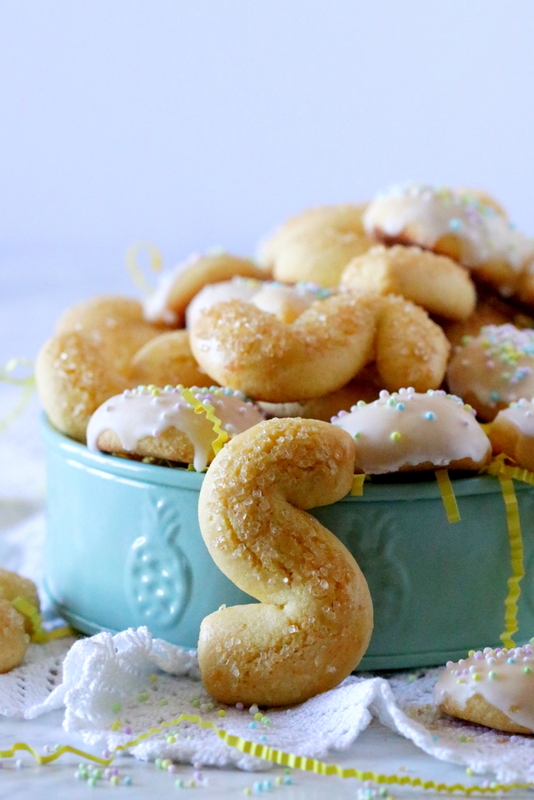 It’s a wonderful dunking cookie….the recipe makes a large enough batch and yet they disappeared so quickly. Thanks Bella! ?